Migraine headaches are the most common kind of headaches usually found in adults. It is primarily a headache disorder, that recurrent from mild to severe. This kind of headaches comes along with various symptoms like puking, nausea, and sensitivity to strong smell, light, and sound. It is being found in many studies that this chronic disease is genetic and usually, it affects one-half of the head. The headache lasts up to 2 to 3 days, and the pain gets worse with regular physical activities. About 15% of people around the globe suffer from a migraine headache. Though this disease is recurrent but it could turn into chronic also. Every year approximately 2.5% of people having recurrent migraine turn into chronic, this chronic migraine are quite awful as it can last up to 15 days every month with a severe headache and nausea. Almost 20% of a migraine headache is preceded by dizziness, nausea, vomiting and visual symptoms called “Aura.” It has been seen in studies that, the migraine is dominated by Aura approximately for 1% of the total time span. And at that time either there will be a mild headache or no pain, but the duration of aura last up to 1 hour. Though the causes and the reasons behind a migraine headache are unknown, but there are many theories that unveil the causes, some studies say the neurotransmitters chemical named serotonin is responsible for the recurrent occurrence of a migraine. When the serotonin level fluctuates it changes the blood vessels in the brain, but the reason behind lowering of serotonin is unknown. There is another theory that states migraine headaches are caused by environmental and genetic factors. They are inherited from one generation to other they happen because of the single defect in the gene. And some people believe a migraine happens due to psychological disorders like depression, bipolar disorder, anxiety and there are many other biological triggers that are responsible for a migraine headache. Some uncommon triggers for a migraine are high blood pressure, taking some particular sleeping pills, eye strain, toothache, smoking, and boozing. Whereas many women get migraine headaches during their periods, trimester and menopause as well due to some hormonal changes during these times the frequency of a migraine is affected. A migraine headache can start anytime before the migraine attack sometimes you might get symptoms like lack of concentration, bit tiredness, tendency to get irritated and craving for food. Sensitivity to strong smell, light, and noise. Migraine headaches happen episodically along with its autonomic symptoms, approximately 15 to 30% of migraine patient suffers from a migraine with an aura. Approximately 60% of migraine patients go through the prodromal phase happens2 days to 2 hours before the migraine attack. The symptoms are fatigue, stiff muscles, tiredness, depression, etc. This can happen in people with Aura or without Aura. Generally, an aura is a transient focal neurological phenomenon which can happen before or during the migraine attack. The phenomenon lasts for less than an hour and the symptoms of Aura can be visual, sensory or motor effects. Usually, the headache can be throbbing, unilateral and moderate to severe which increase with physical activity. In around 40% cases the pain is bilateral, and it happens along with neck pain. The bilateral pain is quite common in people with aura. The pain phase lasts for 3 to 4 days, and the common symptoms are puking, irritability, nausea, fatigue, sensitivity to light, smell and noise. The other symptoms are frequent piddle, stomach upset, blurred vision, nasal and neck stiffness, sweating, etc. The postdrome phase can also be called as the after effect of the migraine attack. In this phenomenon people usually feel tired, they could have gastrointestinal symptoms, cognitive difficulties, mood swings and weakness. The apple cider vinegar is considered to be a nutritional powerhouse; it is being used to get quick relief from migraine attack symptoms. All you need to do is mix one tablespoon of Apple cider vinegar and honey in a glass of water and consume it to get quick relief. By massaging few drops of peppermint oil into the temples can get quick relief. Being a strong anti-inflammatory agent peppermint helps to sooth irritated nerve endings and also acts as an anti-spasmodic ingredient. Cayenne pepper acts as an anti-migraine ingredient by enhancing the blood circulation and by improving the blood flow. It contains an ingredient named capsaicin; it acts as a perfect antidote for pain. 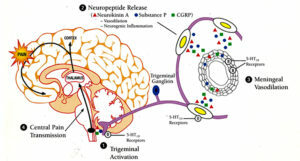 A hormone kind of substance known as Prostaglandins precipitates the inflammation of blood vessels present in brain tissues that lead to the migraine attack. Ginger helps to block the secretion prostaglandins though it acts as a remedy for a migraine. The Feverfew herb is used to reduce migraine attack since ages, as the herb contains parthenolide which is used to reduce inflammation, secretion of prostaglandins and relieve spasm. Feverfew can be consumed by adding peppermint powder along with a spoonful of feverfew into boiling water and then straining liquid after it gets boiled. 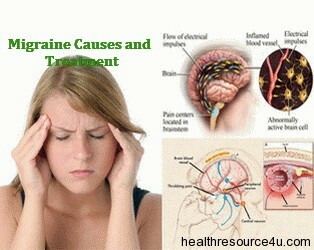 A migraine without Aura: Migraine with aura is the most common kind of Migraine that happens without any warning. The symptoms are nausea, blurred vision, fatigue, and sensitivity to smell, light, and noise. The time span of the attack is 2 to 3 days, and it happens episodically. A migraine with Aura: Migraine with aura includes vision issues and some neurological symptoms. This phenomenon remains for less than one hour. The symptoms are sensation, weakness, sweating and numbness. A migraine without Headache can be characterized by visual issues or other symptoms of aura, vomiting, nausea, and constipation, but there will be no headache. A migraine with Brainstem Aura basically affects the age group from children to adolescents. In this kind of Migraine attacks a headache happens with aura generated from the brainstem, but not with motor sickness. It generally happens in teenage girls, and their menstrual cycle could be the reason. The symptoms are vision loss or might be double vision, dizziness, ringing in ears, slurred speech and fainting. Hemiplegic Migraine is quite rare but severe kinds of Migraine that can make the patient temporarily paralyzed and last for several days. The symptoms are facing problems while talking or seeing something, vertigo and stabbing sensation. 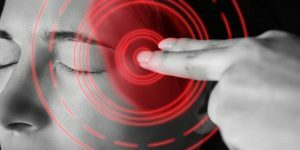 Retinal Migraine is another rare kind of a migraine that can be characterized by issues while seeing something and visual auras. Chronic Migraine happens in an episodic manner they can be characterized as headaches that happen after every 15 days with or without aura. As there is no specific test to diagnose a migraine headache, so the diagnosis is entirely based on the signs and symptoms, one gets during the migraine attack. For diagnosis, the doctor will perform some medical exam and may also ask the medical history. Some doctors might ask to do CT Scan and MRI, but these tests are of no use in diagnosing migraine. 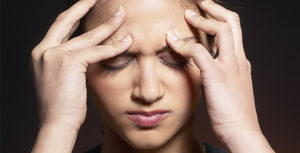 The first step of a migraine diagnose is your medical history so while consulting with your doctor provide all your migraine symptoms in details, your migraine attack history, family medical history, personal habits and foibles like your daily diet chart, sleeping hours, addictions and daily work out details. If possible try to maintain a migraine diary and jot down all the points in it. Then comes the second step that is the physical exam, in this step the doctor will examine the head and neck. Then the doctor will perform some neurological exercises to examine sensation, strength, and reflexes. The doctor might further examine your coordination, consciousness, type or quality of your headache if you get the regular symptoms of a headache and your short term memory level. Providing the correct details about the migraine attack would help the doctor to diagnose it properly. There are different kinds of medicines available in the market that is used to treat a migraine headache but the treatment depends on the symptoms one get during the migraine attack. There are over the counter (OTC) painkillers like aspirin, ibuprofen, and paracetamol that help to get relieve from migraine headaches. You can also take soluble painkillers over the insoluble one as it dissolves quicker and gets absorbed by the body so that to give faster actions. 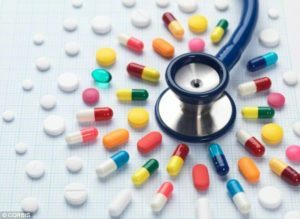 If the OTC painkillers are not giving satisfying results, then you could switch to another kind of medicine known as Triptans. But these medicines work in two third of people, as the Triptans control the secretion of serotonin so taking them at the initial stage of migraine attack could turn fruitful. 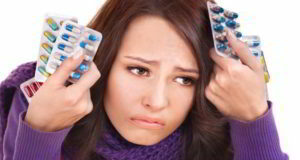 Triptans medicines are available in tablet, nasal sprays, soluble pills, and injections. You will be surprised to know that BOTOX widely known as a wrinkle fixer works miraculously on migraine. Usually, doctors recommend BOTOX to those who have a chronic migraine and suffer for more than 15 days every month. People with greater weight have the tendency to get migraine attacks more than those with average, or less weight. So shedding some kilos could help out to reduce migraine attacks. With every 5 degrees rise in temperature could raise the risk to have a migraine by approximately 7.5%. So try to avoid the sun and heat waves so that it doesn’t affect you with a migraine headache. So Migraine headaches are usual headaches that are preceded by some symptoms like puking, nausea and sensitivity to smell, noise and light and lasts up to 2 to 3 days. The triggers for a migraine are stress, sleeping disorder, anxiety, hormonal changes, and some foods. There are basically two types of migraines one is a migraine with aura, and another is a migraine without aura. 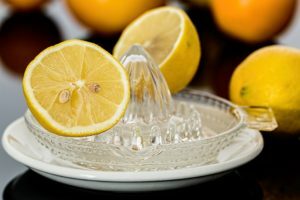 To get quick relief from both of the migraines OTC’S and Triptans are useful or otherwise some of the home remedies like apple cider vinegar, ginger, and peppermint oil can also be used at the initial stages. One suffering from a chronic migraine can also get relieve by adapting some of the preventive measures like avoiding sun and heat waves, living a healthy lifestyle, by doing daily workouts and avoiding the triggers that are responsible for migraine attacks. For more health tips like this stay connected and stay well !! !